SEO involves a series of practices in order to help achieve a higher search ranking. When you do have a higher search ranking, you can then start to take advantage of better customer traffic and even a higher customer flow as well. This can work wonders for your site and it can also really help you to establish yourself as a leader in the industry. The fact is that over 81% of shoppers will want to do online research before they go out and buy a product. They are always searching for solutions and you will want to show up when the time does come for them to find you. On top of this, 71% of customers will always click on a link on the first page. 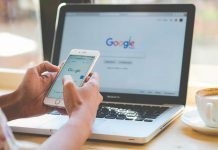 For this reason, it’s really important that you are on the first page of Google when your customers try to find you and it’s also really important that you take into account the fact that this can have a huge impact on your sales. One thing that you can do is hire Lexel, an SEO agency. You can also look into your own keyword research so that you can try and understand what terms and phrases your customers are going to use. This is essential if you want to make the most out of your SEO and it is also crucial if you are not getting the traffic that you need. Once you have a good idea as to what you want to rank for, you can then start to work on targeting those keywords. It’s important that you avoid keyword stuffing here because it can make your site look spammy and it may even get your pages listed as being low quality as well. Site organisation is essential to SEO, and it can really impact your user experience as well. It makes your site easy to understand for users and for search engines as well, and this is crucial if you ever want to be successful in terms of your website traffic. Local searches are now happening more than ever. 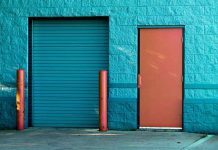 People don’t just want to go out and see the products that you have, they want to see if you have it in-store and they also want to see if you are open on that day. They want to see what colour variations you have of a product and more, and that is why more and more people are using local searches before they actually visit your store. If they can’t find out where you are on the internet then they aren’t going to try and spend hours trying to find you in person, so this is something that is really important for you to understand. 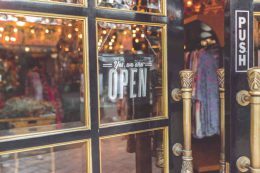 So you do need to make sure that you make the most out of your SEO for your retail store because if you don’t then your store will suffer and it will also make it much harder for you to compete as well.